After it’s been cleansed, your esthetician exfoliates your skin with either a manual exfoliant, such as a gentle scrub, or a properly formulated chemical exfoliant. The latter can include an alpha hydroxy acid (AHA) made from glycolic or lactic acid, or a beta hydroxy product (BHA) made of salicylic acid. This step not only creates a smoother surface, but improves uneven skin tone, reduces dullness, and temporarily plumps skin, resulting in the reduced appearance of wrinkles. Do estheticians do it better? Like cleansing, this answer depends on whether or not you can resist the temptation to scrub the bejeezus out of your skin in hopes of getting a rosy glow. That’s because exfoliating your skin is great, but it is possible to overdo it—and your skin will tell you if you’ve gone too far. For some people, once or twice a day works best; for others, every other day, or even once a week. You can (slowly) experiment to see what works best for you. 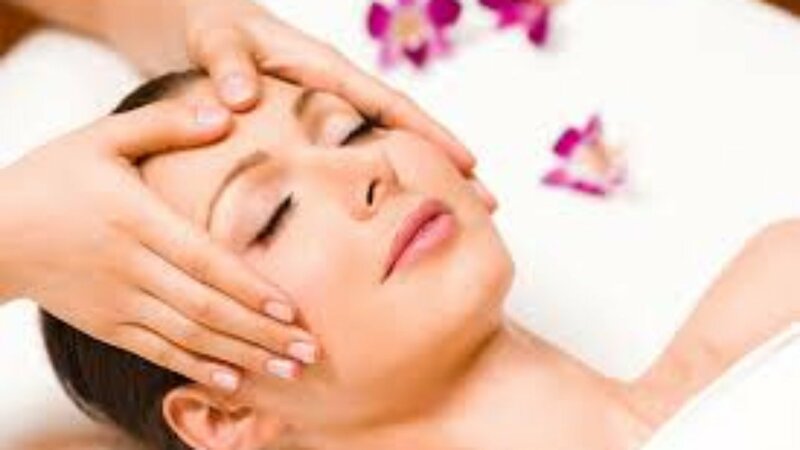 However, here’s a reason to schedule at least one facial: An experienced esthetician should be able to show you how to exfoliate properly and recommend products that are best for your skin type. Just watch out for someone who hesitates to recommend brands that their spa doesn’t sell, since they might be more concerned with a commission than your complexion. Read through the facial menu at many spas, and you find a dizzying list of specialized treatments, each with exotic ingredients. Of course, the more rare or precious these ingredients, the more expensive the service. Your body is perfectly adept at removing toxins from foreign substances through your liver, which changes a toxin’s chemical structure so that it can then be excreted through the kidneys. From there, the broken-down substance is safely filtered from your blood into your urine. Contrary to modern marketing hype, toxins can’t leave your body through the pores or through your skin. That’s because, unlike your liver and kidneys, skin can’t modify toxins in any way. What about the idea that you can sweat toxins out? Turns out, that’s not the case. Sweat cools your body down, not flushes it out. In doing so, sweat can eliminate some by-products, such as urea, but that’s not what spas are referring to. Instead, detox facials imply that they can remove so-called toxins from products, processed foods, or air pollution, which simply isn’t the case.